​Tenants at this prestigious office building enjoy reserved covered parking, elevator access to all levels, generous window areas and spacious balconies. 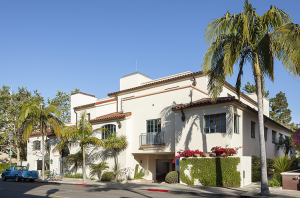 The building provides tastefully designed built-out suites with conference rooms, kitchenettes, private restrooms with shower facilities and carpeted office space; 21 East Victoria is one of Santa Barbara’s premier office buildings. ​21 East Victoria is steps away from Santa Barbara’s historic Courthouse, County Administration Building, major banking institutions and downtown shopping centers. Located a half block off Santa Barbara’s famous State Street, 21 East Victoria is easily accessible to tenants and visitors alike.